Nehlen has managed to significantly close the gap in polls despite virtually no national or local media coverage, sabotage by the state party, and an absence of Washington conservative media figures like Mark Levin, who has spent much of his recent time arguing against the use of Lincolnian tariffs. Schlafly further explained that if Speaker Ryan cannot get in line with the majority of the American electorate on immigration, he “should resign”. Ryan has become a flashpoint in American politics for pushing a deeply divisive and ambitious agenda of national transformation via open borders, mass migration, and transnational trade deals that trim Congressional authority and threaten American workers. Ryan has coupled these globalist policies with support for copious government spending, rolling back criminal sentencing penalties and surrendering through silence to various left-wing policy objectives— among them diversity training, affirmative action and race quotas. Schlafly has been active in politics for more than one-quarter of all American history, and has attended every single Republican National Convention since 1952. Her seminal 1964 book, A Choice Not An Echo, inspired a generation of conservatives and defined the battle lines between the Republican grassroots and the Party elites. Schlafly helped launch the conservative movement, create the pro-family agenda, and has led the fight against open borders trade and immigration policies. The conservative heroine was also one of Trump’s earliest and most influential endorsements. In a December 2015 sit-down with Breitbart News, Schlafly made the case for a President Trump— declaring that Trump is the America’s “only hope to defeat the Kingmakers”— i.e. a select group of cosmopolitan elites who control both major parties and historically determine the parties’ nominees. However, Schlafly seems to suggest that Trump’s fight against the Kingmakers and the politicians who champion their agenda, is not yet finished. In particular, Schlafly discussed the opposition Trump currently faces from members of his own party, such as House Speaker Paul Ryan, who represent the “America Last, donor class agenda” as opposed to Trump’s “America First” agenda, supported by the Republican electorate. Over the course of the last few months, Speaker Ryan has issued statement after statement that seems designed to undermine his Party’s nominee. Indeed, just this week Ryan attacked Trump’s trade policies in front of a select group of 400 wealthy donors at a lavish Koch brothers retreat. Ryan said he wants to “repudiate” the views of Republican voters, who do not support Ryan and his donors’ trade agenda. Ryan seemed to suggest his efforts to do so will represent the “fight for the soul of our party and for our country”. In particular, Schlafly took objection to Ryan’s longstanding support for open borders trade and immigration policies. As Breitbart News has previously reported, Ryan’s views on foreign migration, foreign trade, and foreign wars more closely align with the views of Hillary Clinton than they do with views of Donald Trump and the Republican electorate. Indeed, Sen. Tim Kaine has predicted that Speaker Ryan will be the key to passing a President Hillary Clinton’s agenda– including enacting the largest amnesty in U.S. history within her first 100 days in office. While Pew data shows that 92% of the GOP electorate—and 83% of the American electorate overall— wants to see immigration levels frozen or reduced, Ryan has pushed to expand immigration into the United States. In 2013, Ryan worked with Luis Gutierrez to advance President Obama’s immigration expansion agenda, and in 2015 Ryan championed an omnibus spending bill that fully funded Obama’s open borders agenda. In fact, Ryan has a two decade long history of pushing open borders immigration policies—dating back to his days as a Capitol Hill staffer when he worked to derail the bipartisan immigration curbs inspired by Civil Rights leader and late-Democratic Congresswoman Barbara Jordan. Ryan was also a part of the crusade in the mid-90s against California’s Prop 187, which would have cut off state benefits to illegal immigrants. Ryan was apparently adamant that illegals living in California ought have access to benefits paid for by U.S. taxpayers. Speaker Ryan has previously explained that he believes the U.S. should import foreign labor to help corporations keep wages low. Get rid of him! We don’t want anybody who believes in open borders. A country isn’t sovereign if we can’t control who comes in and whose allowed to come in. And if we’re a sovereign country, we need to have absolute control of who comes in… [For instance] the 1920s, we thought we ought to take [an immigration] pause. Schlafly said that the U.S. ought to now similarly enact an immigration pause until the nation is able to get immigration under control. “We need a pause until we stop this inflow of illegal aliens coming in,” Schlafly explained. Schlafly noted that while Trump champions an “America first” agenda supported by the American people, Paul Ryan supports the “America Last” agenda of the donor class. “Obviously Paul Ryan is not an ‘America first’ guy,” Schlafly said. “If he’s for the interests of the global party, which is the financial party, then he’s not for ‘America first’ and the American people voted for ‘America first,’” Schlafly explained. There are a lot of wealthy people who would like globalism, who would like us to be in some kind of global community, and who want getting along with foreign countries to be their major goal. And I don’t think so. I think what the American people want and need should be our greatest goal. 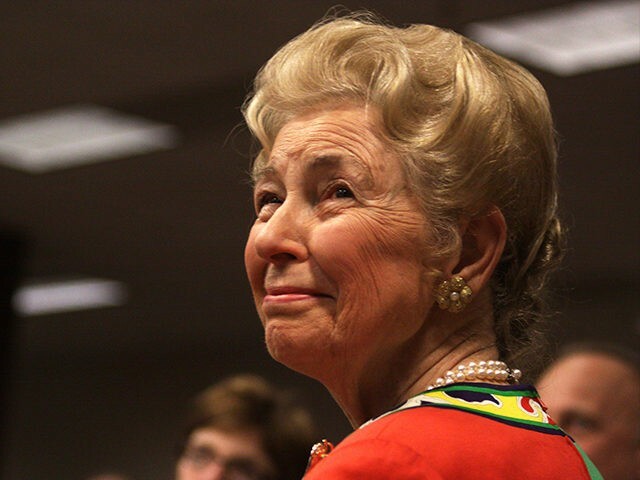 Schlafly indicated that if the GOP were to follow Paul Ryan down the path of supporting the donor-class’ corporate agenda it would have meant the death of the Republican Party. 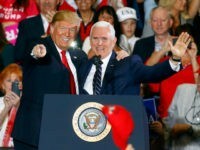 Indeed, it was Paul Ryan’s failed 2012 campaign with Mitt Romney, that led Republican leaders and consultants to issue the GOP “autopsy report,” which took as one of its conclusions that the way Republicans ought to win elections is by embracing an immigration agenda that would import future voters who tend to overwhelmingly support Democrat policies. However, Schlafly now says that she is hopeful about the future of the GOP because Trump will lead the Republican Party in a different direction than Paul Ryan– one that is in line with the wishes of “real Republicans” rather than the desires of Republican donors.